Maryland — PJKoenig Golf Photography PJKoenig Golf Photography - Golf Photos For Those Who Love The Game. Maryland started off with a serious bang. That bang was actually a knock on my RGV door at 6:18 in the morning. I woke up in an instant and realized that I was scheduled for a 6:30 tee time. When you wake up 12 minutes before your tee time, you usually don't end up making that tee time. However, I was sleeping in the golf course parking lot and made it to the tee box with time to spare. The event was The Summer Solstice at Little Bennett Golf Course presented by The Hive. 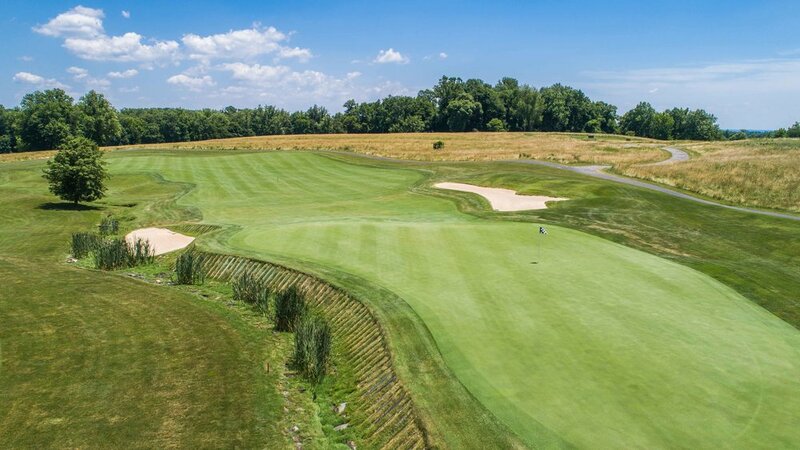 The Hive is a group of Maryland & DC based golfers that have created their own USGA golf club. They don't have a course but they put on some great events for their members. This event was a personal best ball format. Each golfer was allowed to play as much golf as possible in one day and piece together their best 18 hole score. The strategy is to play aggressive and make a lot of birdies. If you make a double, you've got a chance to replace it with a par on your 2nd or 3rd round. If you make it around a 4th time, that gives you 4 cracks at each hole. It's a wildly fun format that relieves the pressure on some holes and really ups the ante on holes that you have previously played poorly. Somewhere during the 2nd round. The view on the 66th hole. During my time at The Solstice, I learned that I need about 41 golf holes to really find my game. Once I found it, I shot down some flags and rolled in some putts. I slowly lowered my score by erasing pars with birdies and replacing double bogies with eagles. When the sun set and the dust cleared, we had golfed 65 holes and I had a 62 on my scorecard. That 62 would be good enough for a 1 shot victory. Since this is a charitable endeavor, I took my winnings and donated them to The First Tee. If I have learned one thing on this trip, it's that giving is the easiest way to get back. If you look at the world's most successful and influential people, they all make a practice to give more than they receive. So if you follow this logic, it actually makes sense for you to donate out of selfish reasons. Just click the link to donate and become part of the magic. Even on a cloudy day, the view of the Washington Monument pops through at East Potomac. After the solstice, it was time to head into the nation's capital and do some golfing in the district. 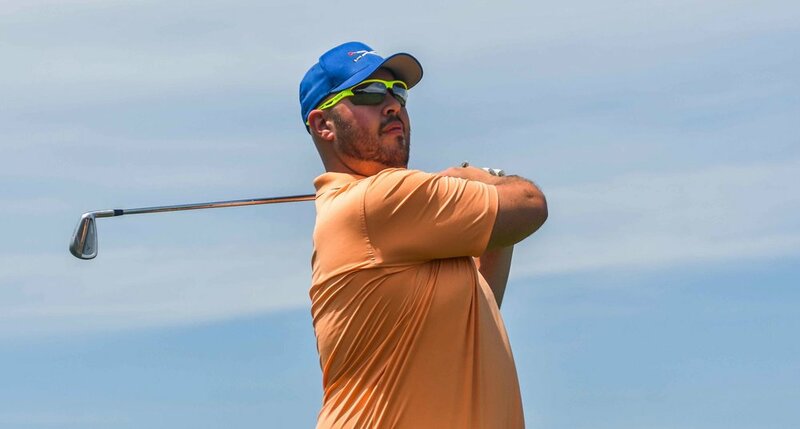 My partner was an RGV Tour player by the name of Zack Bass. Zack has a great passion for the game and was excited to be a part of the tour. While East Potomac in Washington DC is not a top tier course, the location is very cool and the company was as good as it gets. After grinding out some pars and bogies for most of the day, Zack had a pretty good look on 16 for birdie. Sensing a big moment, I grabbed my camera. Like a natural born superstar, Zack rolled in the birdie putt and I captured the magic on my camera. The RGV Tour searches for those that possess the 'golf zest' and Zack has it in spades. What a way to earn your RGV Tour card with style. The best part about golfing early, is that it usually leaves some time to golf late as well. Naturally, I headed on over to Whiskey Creek to enjoy the second half of a 36 hole day. 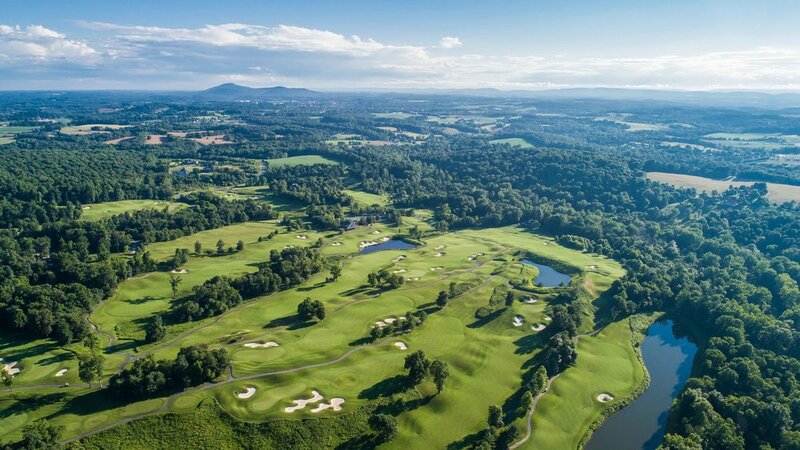 Whiskey Creek is a public golf course designed by Ernie Els and a great option for play in the DC area. The tour ran into some unusual drama out at Whiskey Creek and you can hear all the details about it on the podcast episode. The good news is that drama was handled very well by the staff at Whiskey Creek and we even ran into the RGV Tour's latest award winner, Emma. In a landslide victory, Emma now holds the title of "Best RGV Tour Golf Course Bartender." Keep on serving those Diet Cokes, Emma. Next on the RGV agenda, was Congressional Country Club's blue course. Congressional has hosted 3 US Opens, with the first being won by Ken Venturi in 1964. Ernie Els won the event in 1997 and in 2011, Rory McIlroy added a US Open at Congressional to his trophy case. 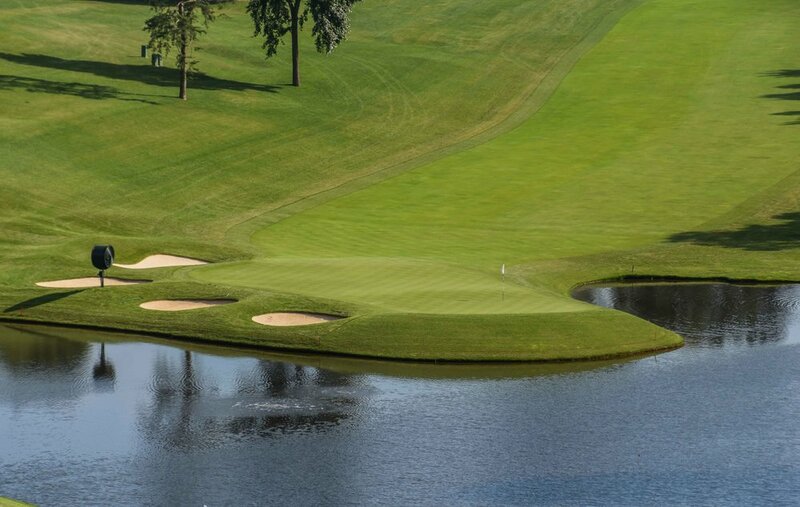 The course has also hosted a PGA Championship and a US Senior Open. Although it is not officially listed on Congressional's website, The RGV Tour would visit in June of 2018. The club house is massive and the first thing I did when arriving on the property was proceed to get lost. I highly recommend this strategy as a method for exploration. I ran into all sorts of history and pictures... I even helped a bird that had flown into the building escape. The clubhouse is the largest in the entire nation and I would suggest wandering around for a while if you have the chance to visit. The 10th hole is a par 3 over the water. The RGV Tour visit to Congressional featured two outstanding RGV Tour players named Kevin and Ford. The golf IQ was exceptionally high with these two and some top notch tales were traded. Ford can also bomb the ball about 340 yards, so we played 7200 yards which made for plenty of 4 irons into greens. On this day, those 4 irons were struck true and a good number of birdies were found. Congressional will quickly punish wayward shots and continually test good but not great golf shots. Every inch of grass out there is challenging but manageable if you are playing good golf. Congressional is just a serious test of golf that tested us good. Next up was Queenstown Harbor with Chris and Ryan. Whatever, I can say about this round, Ryan probably said it better. In one of my favorite posts on The RGV Tour, Ryan does a great job of explaining the day and giving some great insight on what it's like to join the tour. The only thing that Ryan forgets to mention is the strength Chris' outfit for the day. His shirt is red, his shoes are red, even his putter is red. It is a red hot RGV Tour ensemble. Chris knows how to golf party hard. Since the beginning, I have always felt like each round on the RGV Tour is special and it was great to hear Ryan's take on the day. I highly suggest reading his piece below. Chris matches his shirts, shoes, and even his putter with an all word RGV Tour scripting. Ryan fans one out to the right but poses on it hard. 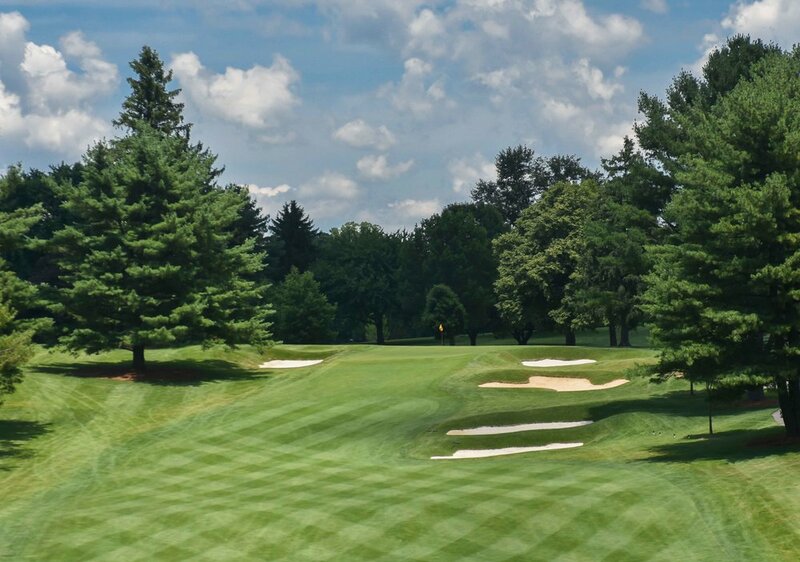 The Country Club of Maryland plays 6,328 yards. If you look at that yardage and determine that the golf course is a pushover, you would be wrong. Playing to a par 70, the course is every bit as challenging as it's 7000 yard counterparts. RGV Tour player Jeremy and I tackled the course on an outstanding Tuesday afternoon. Jeremy is an English Teacher and is really working on honing his game during the summer break. Jeremy and I decided to have a duel in the summer heat and we started slugging it out right away. No hole was halved on the first 10 holes and after the tenth hole the match was all square. That's when I turned on the birdie buzz saw, the course turns up the difficulty down the stretch and I turned up the heat. In the end, I emerged with the victory but both of us emerged with smiles. It was another great day on The RGV Tour. On a hot tip from Jeremy, I decided to take in a baseball game to give my golfing senses a break. Camden Yard is a great place to watch a game. I highly recommend the crab dip waffle fries and some ice cream in a miniature helmet. The Seattle Mariners beat the Orioles 3-2. It is odd to think that the entire MLB season will actually be over by the time I see Seattle again. Now that I think about it, the entire NFL season will actually start and finish as well. We got a long ways to go, folks. After 6 rounds in Maryland, It was time for the finale. Just like the ending in Terminator 2, this one would not disappoint. The good news: nobody gets dipped into molten steel in the end. Instead of self aware robots, it was Pete Dye and his railroad ties at Bulle Rock Golf Club. I am sure that I will say this a hundred more times, but the people of the RGV Tour really keep this golf engine pumping and the duo that I met up with at Bulle Rock were no exception. From the moment they recognized me speeding by in a golf cart, Mike and Mike were some of my favorite tour players. Mike K. works at Under Armour and for most of the front nine, Mike M and I were trying to land some sort of million dollar sponsorship deal. Let's just say, I don't think they are gonna trade in Spieth for Koenig anytime soon. Mike M also had quite an interesting journey to share. From manning commercial ocean liners around the world to running the show at your local Home Depot, Mike kept us entertained all day long. Just like that, the Maryland chapter came to a close and I headed into Pennsylvania for a seriously jam packed state. With the Fourth of July coming up, there are sure to be some serious fireworks in Philly!